Rising sophomores, the moment has arrived, drum-roll please… If you’d like to join the Cortina Community next year, please complete the New Sophomore application. Applications are due by February 8! If you have questions or concerns, please contact Kate Macan (katemacan@creighton.edu) or Sarah Peraud (sarahperaud@creighton.edu). Also, Information Nights are happening next week in Residence Halls near you. 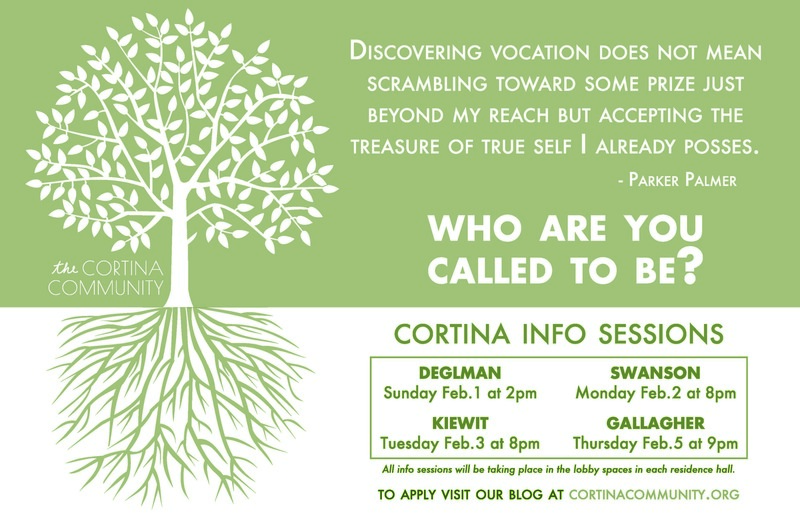 Come hear more about community life in Cortina February 1 – February 5. Hope to see you there!